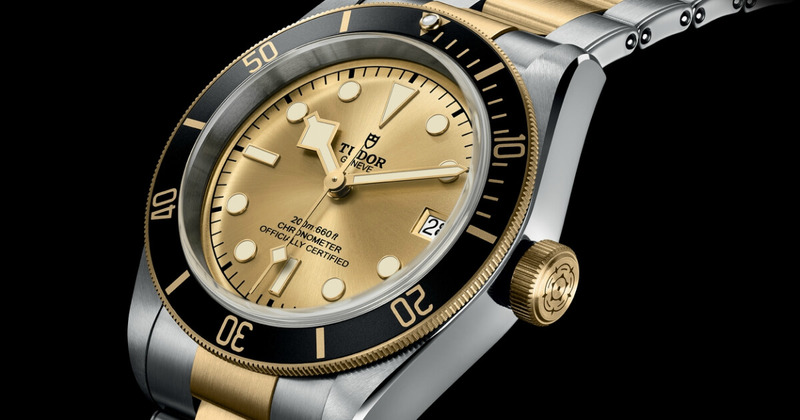 An emblematic model celebrating 60 years of Tudor divers’ watches with extraordinary craftsmanship. 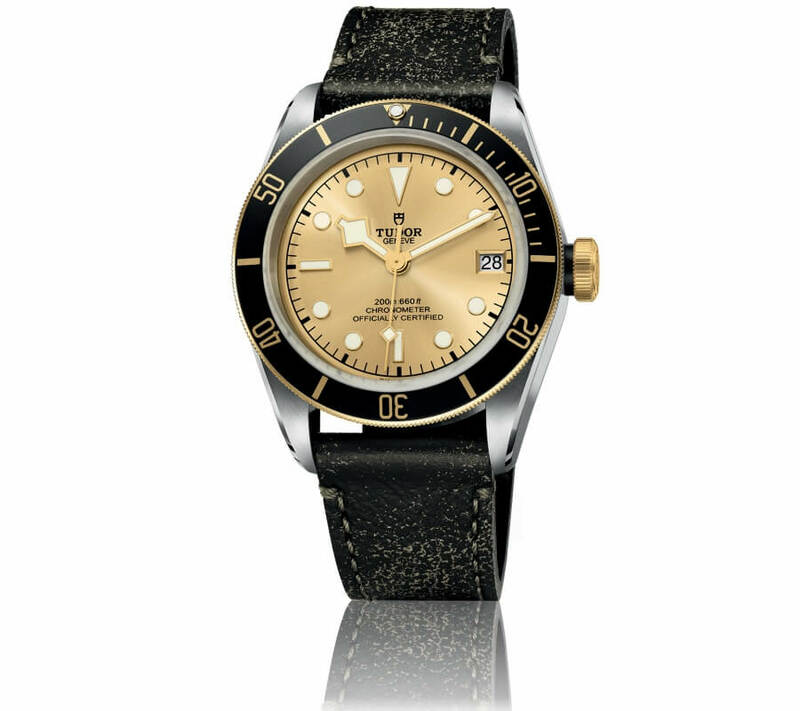 Enhancing the Black Bay with yellow gold creates a new version named S&G, for Steel & Gold. 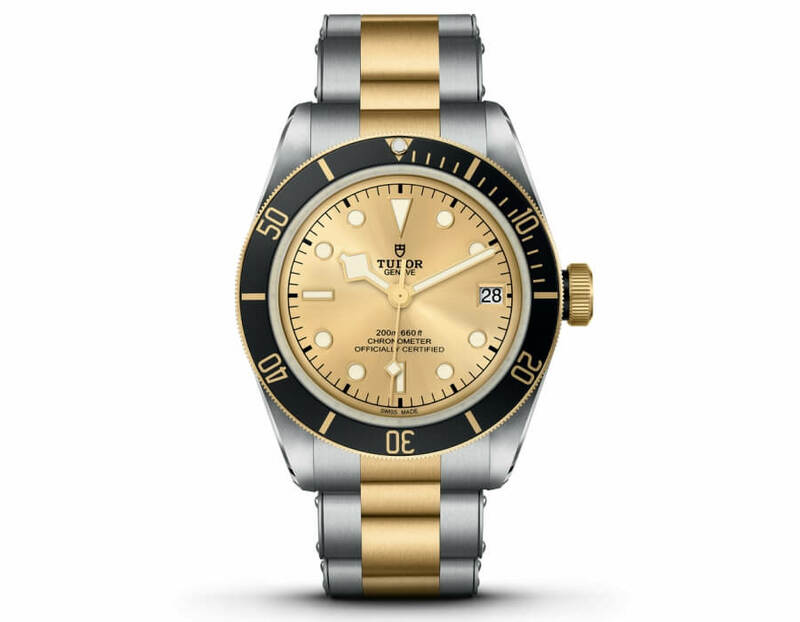 In this version the lines and proportions of the Black Bay are retained, while the rotating bezel and the winding crown are made from yellow gold. 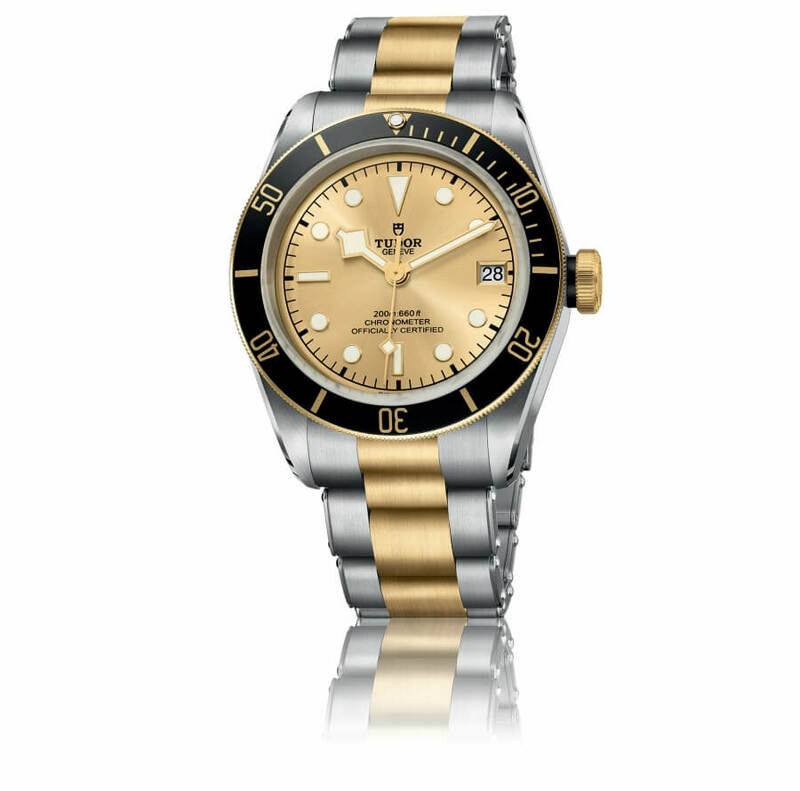 The steel bracelet is also dressed in this precious metal on its central link giving it a more formal feel. a frequency of 28,800 beats/hour or 4 Hz, the movement is regulated by a variable inertia oscillator with silicon balance spring. This is held in place by a traversing bridge, guaranteeing its robustness. 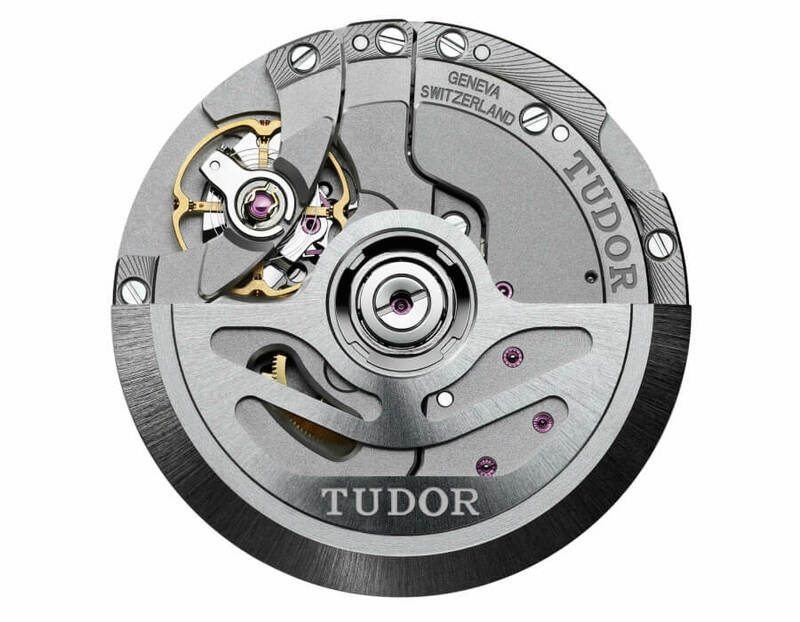 Furthermore, the movement is certified by the Swiss Official Chronometer Testing Institute (COSC). The bracelet of the Black Bay S&G model is inspired by the folding riveted bracelets of the Tudor watches produced in the 1950s and 1960s. These were famous for having rivet heads for attaching the links, shown on the side of the bracelet. The links also had a distinct stepped construction. These two aesthetic details are incorporated into the bracelet of the 2/5 Black Bay S&G model, integrating modern manufacturing methods using solid links. Two additional designs are available: brown aged leather strap and folding clasp or brown fabric strap. is thought to be a pioneer in this area.